Kacey Musgraves performed the title track from her 2018 album on James Corden's show. 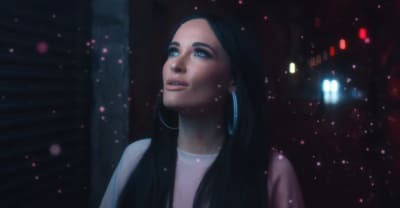 Kacey Musgraves shared the "High Horse" video from her latest album, Golden Hour. Kacey Musgraves appeared on James Corden’s show on Thursday night. Kacey Musgraves performed "High Horse" and "Slow Burn" on Saturday Night Live. Kacey Musgraves releases a sweet song and video in honor of Mother's Day. Watch the new music video for "Butterflies" by Kacey Musgraves, taken from her new album Golden Hour. Watch the video for Kacey Musgraves's "Space Cowboy." Kacey Musgraves brought her disco favorite to Ellen this morning. Kacey Musgraves appeared on Stephen Colbert's show to promote new album Golden Hour. Kacey Musgraves' highly anticipated Golden Hour LP is here.